University of California Press, 9780520259072, 384pp. The lavishly illustrated volume presents in dazzling visual detail a highly engaging introduction to almost 2000 years of Chinese history-from the founding of the Chinese Empire in 221 BCE to the Ming dynasty, the last dynasty to rule before the country opened to the outside world in the middle of the seventeenth century. China tells this dynamic story through hundreds of breathtaking full-page images of people, landscapes, artworks, artifacts, and more. The inviting, beautifully designed pages feature crisply written, up-to-date text, quotations from ancient sources that establish context for the personalities and episodes for each historic period, extended captions that explore the visual details of the images, information on where to see the images in museums, and more. 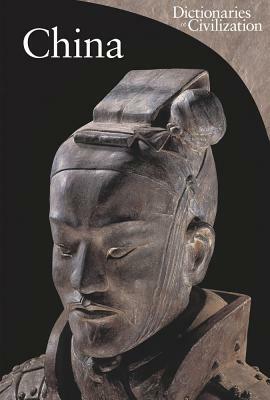 The book brings together in one convenient place the most significant products of Chinese culture, showing in particular the evolution of the arts, everyday lifestyles, religious beliefs, the coexistence of tradition and innovation, and sacred and profane values. For travelers, students, and general readers of all levels, China brings alive a great and ancient empire. Alexandra Wetzel is a consultant for the Giovanni Agnelli Foundation and for the Center for Asian Arts and the author of several essays about Chinese art.